Access all your WhenToWork accounts in our easy to use app. 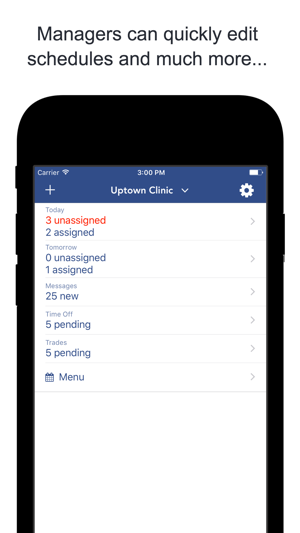 View schedules, use tradeboard, submit time off, send/receive messages and more. 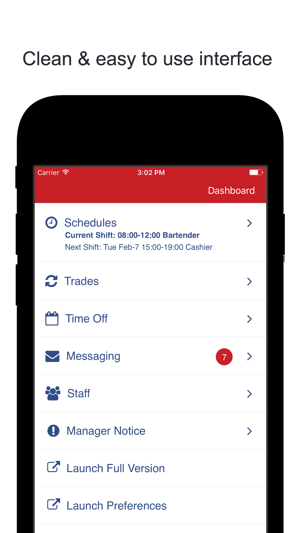 Managers can add, edit & publish schedules, approve trades & time off and much more. Add multiple users and easily switch between accounts. 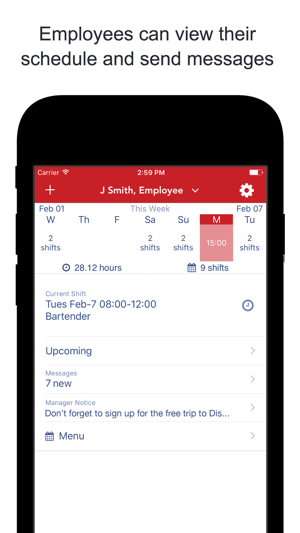 WhenToWork provides online employee scheduling. If your organization does not already use WhenToWork, have your scheduling manager sign up for a free 30 day trial. In need of an update. iCal would be a suggestion. This is a great app but would be even better if it allowed a reminder option that you could turn on for it to allow you to get a reminder about your upcoming shift! Otherwise a very smart app! This app has made work so much better. I can’t see any notifications from the app, but if you set it up to your email you will get notifications from your email. My new job has this app and has made work so much easier, my old job was all paper schedules and it was a hassle. Love the concept, the app, and everything within it.